This past Friday I got in line in the rain more than an hour before a store opened along with hundreds of others to get a new phone. A few hours later thoroughly satisfied with my experience, I walked out of the Apple Store with my new iPhone 5c. Pink. Cause real men rock pink. Actually it was fun. People tied by common experience enjoyed coffee and water with lots of chatter and excitement comparing ideas while waiting for the opening hoping the supply would hold out. Bad news for gold-loving 5s – not many of those! Promise is another way of saying “count on” as in you can count on me. Like the way I count on Apple. Branding is hot right now but like all hot topics the half-life is short. In a few months we won't mention branding as much and soon someone will say “that's so 2013!” as in, get real. So it goes. Yet branding is real and constant. Its your promise. The truth though is that branding is both noun and verb. Branding is what you do moreso than what you say. Its more promise than label. And it can't be avoided. You breathe? You brand. Know that branding is not marketing. You can attempt to market your brand but that presumes you know what it is. But your brand is what people think you are, not what you tell them. Thus to brand yourself more effectively you'll need to get in touch with your current brand. What is it? How do others see you? What springs to mind when your name pops up on their pink iPhone? That's right: you're going to have to do some market research. You need to assess whether or not the message you think you're sending is really getting through. Why? Because people care about what we do, not what we say. Branding happens whether we're aware of it or not for branding is simply the public belief about what we represent. 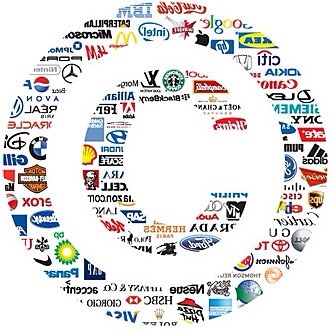 Timely, innovative, smart, cranky, difficult, slow, current, stuck in the past… All brands. So what if you don't like what your brand says about you? Get clear on what matters to you and why. Your brand is a function of the way you go through your days, an outcome of the things you choose to get immersed in as well as the things you ignore. You craft your brand through choice. And focus. Don't like the brand you have today? Focus, choose, stay constant. Develop your promise. Deliver on it. In the rush to get on the branding bandwagon some have concentrated soley on the message and media. They've forgotten the verb function of the word is what creates brand. I don't care what you call yourself, how you label it or what forum you use. The noun only goes so far. Do you hold promise for your brand? Ask yourself a question: would they wait in line for your brand?